La Tenuta Castello diGrumello, a Grumello del Monte in provincia di Bergamo, ospita una eccezionale collezione di gioielli e bijoux, PREZIOSI GOLOSI. 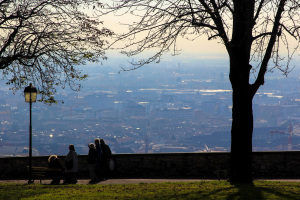 Come and visit Bergamo with me: you will meet art, food and wine. 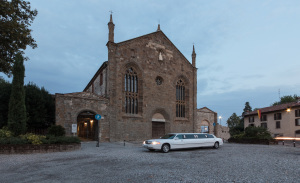 I am an official guide since 1986, expert in wine&food: have a guided tour in Bergamo, a wine, cheese or many other delicatessen tasting, your dinner custom-made o in a castle, a visit to the best winemakers and producers. Not only in Bergamo but also wherever it may be food for thought, for the eye as well as palate. 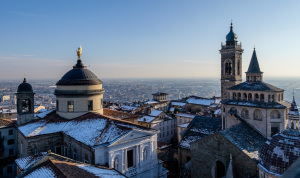 Bergamo and its area, the museums, its sanctuaries, its masterpieces,the nature, its wine and food. My multi-year experience as an event planner and a guide let me be able to design, plan, build and manage many different and customized itineraries all over Italy, tailored to meet the italian way of life, art, culture for food and wine; fitting customers needs, demands and desires. Wine, food, art, fashion and sport are some of the topics I offer to private, companies or Tour Operators. I’m Elena Miano: tourist hospitality, art and a passion for anything connected to food and wine have been my passionate job since late ‘80s. (Italiano) Ecco il video di Abbracciamo le Mura!